Christmas parties are the perfect excuse to get glammed up and pull off a brand new make-up look you wouldn't usually wear. One of my goals for next year is to do more make-up tutorials on my YouTube (I used to do loads years ago before losing confidence) so I've been watching a lot of the beauty gurus on YouTube for inspiration. As far as party make up goes, I tend to opt for smokey eyes, dark lips or glitter looks. I like pushing boundaries but I still like to wear make up that is easy to pull off! I have picked out three beauty looks that I adore for the festive party season and popped in a link so you can recreate the looks for yourselves! 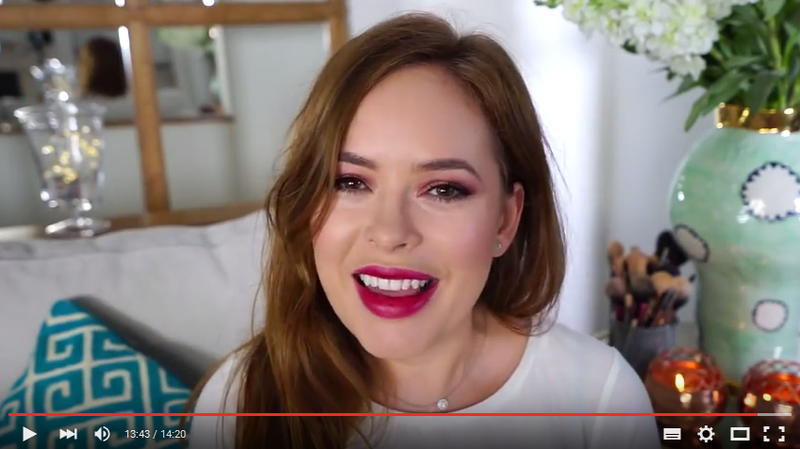 Although I don't religiously watch her videos, I really like how Tanya Burr does her make up. It's simple but always looks stunning and she seems to have a knack for picking out looks that are timelessly elegant. 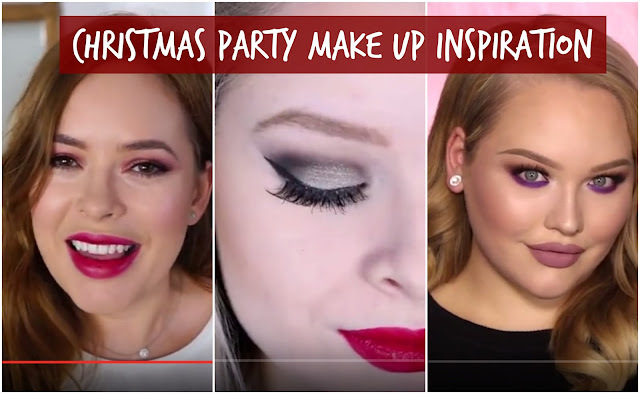 I love her Emma Watson inspired Christmas Party Makeup tutorial because it features a lovely berry lip paired with a copper toned smokey eye. Having a brown smokey eye means it is much less dramatic than a dark smokey eye therefore it is more easy to wear. How dramatic is that eye make up? This is a look I'd be happy to rock all day every day if I could - I just adore that silver smokey eye! I think this look would be ideal to wear with a little black dress to really make a big impact at your Christmas party. 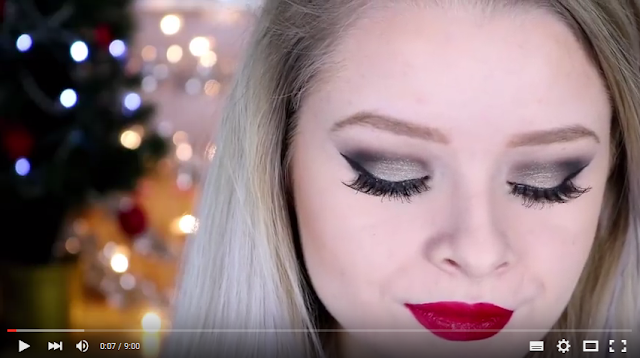 Plus I love the lipstick shades Sophie uses in this tutorial - I can't believe how similar the W7 lipstick is to the Mac one! 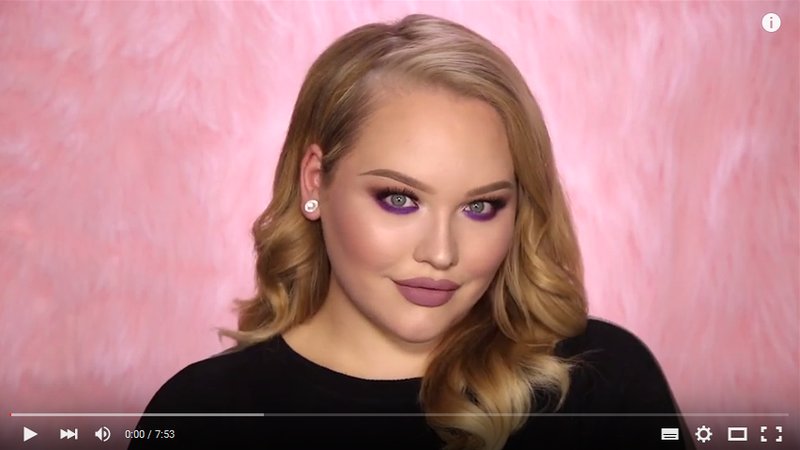 This look really stood out to me because Nikkie strayed away from the traditional holiday colour palette and went for a purple toned eyeliner which looks fantastic! I love wearing bright colours on my eyes and this tutorial is perfect for that pop of colour without scaring everyone at your party. I think this look would make you feel fierce! But I have to say I'm gutted we can't get Kat von D make up in the UK because the lipstick she uses in this look is amazing! I am spoilt for choice on which make up look I'll be using for my work Christmas party! Which one of these is your favourite? Don['t forget to click the links to the lovely beauty gurus mentioned in this blog post and share the love!